I now come to one of my most favorite subjects. Like the Galapagos the isolated islands of New Zealand facilitated the development of unusual endemic species, with some particularly interesting variations. The only endemic land mammal is a bat, but there are many native sea mammals including dolphins, seals and whales. The island environment that has existed for 80 million years has produced a plethora of native bird species in New Zealand – it is known as the seabird capital of the world and has a number of forest birds that live nowhere else on Earth. While the Galapagos has its flightless cormorant, a greater number of New Zealand’s endemic birds do not fly. Though many have long lifespans, their breeding cycles are slow with small clutches. Sadly these evolutionary factors have contributed to extinction or endangerment, especially as invasive predators such as rats, cats and dogs have been brought onto the islands. More on that later. Presently there are 16 extant flightless birds, more than any other region in the world, but there were also another 16 flightless species which are now are extinct. Probably the most well know of the extinct birds is the Moa, an ostrich-like large flightless bird. This bird was about 12 feet tall and weighed around 440 pounds. 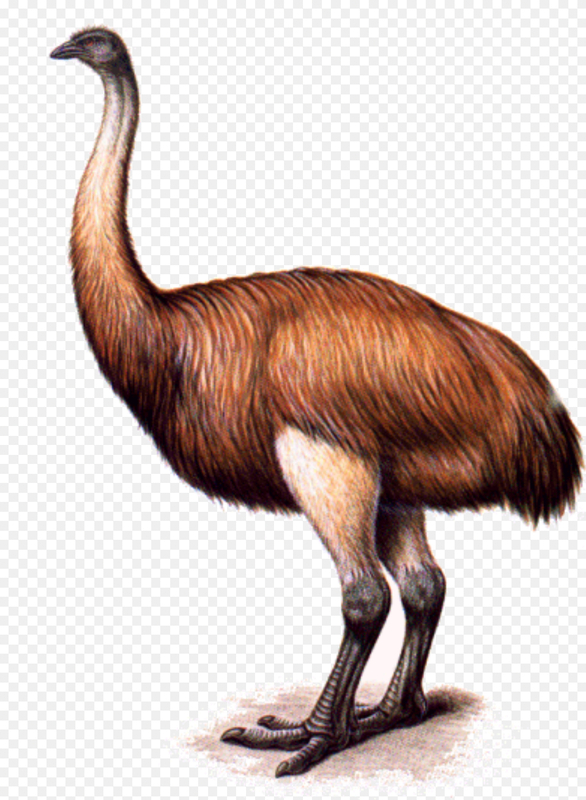 It is estimated that Moas lived in New Zealand for at least 40,000 years – until they were pushed to extinction by Polynesian settlers who used them as a source of food. The mos were hunted until their extinction in the 15th century. 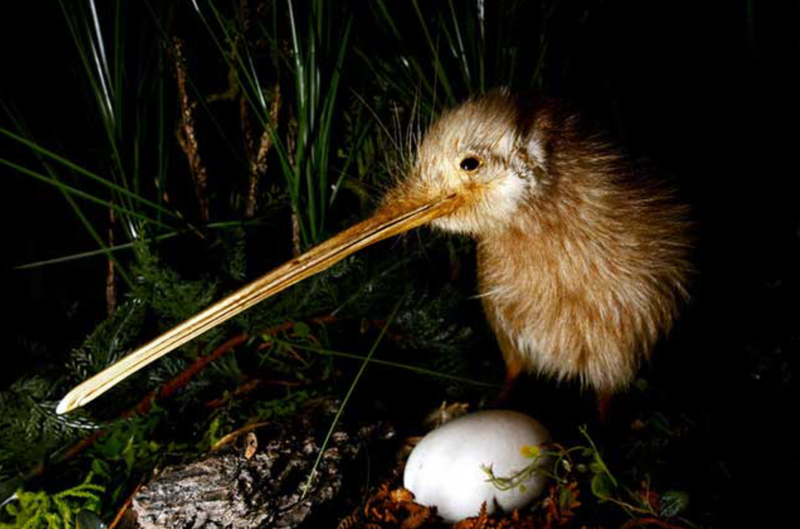 But let’s look at the amazing and unusual endemic birds that are not only living in New Zealand but are under fierce protection to ensure their futures. And, there is no other bird that deserves the top of this list, as it not only is the name of a most unusual and distinctive flightless bird, it is also a national icon – the kiwi shown at the top of this post. 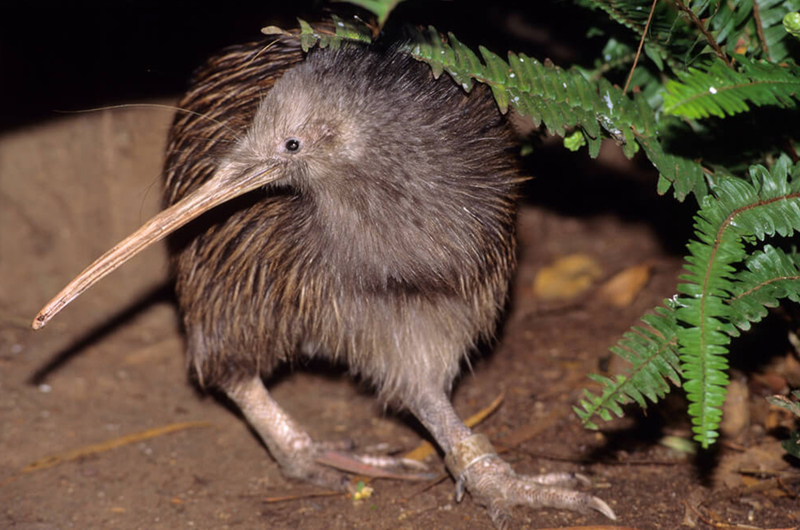 The kiwi is a close relative to the extinct moa as well as Australian emu. Kiwi can live between 25 and 50 years. 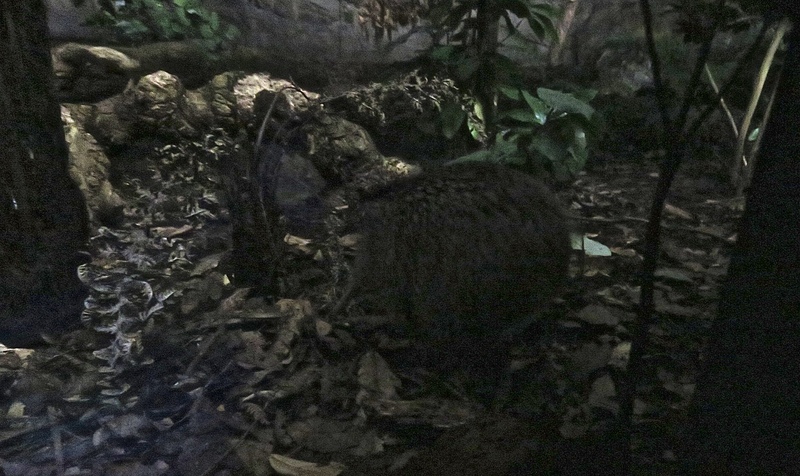 Kiwi are nocturnal and are omnivores – eating everything from worms and insects to berries, seeds and leaves to fungi, crayfish and even small frogs, eels and fish, Since they are active at night it is difficult to see them in the wild. I did get a wonderful glimpse of them at the Kiwi Birdlife Park in Queenstown. They are simply fascinating – big bulbous bodies and long beaks with nostrils at their tips. 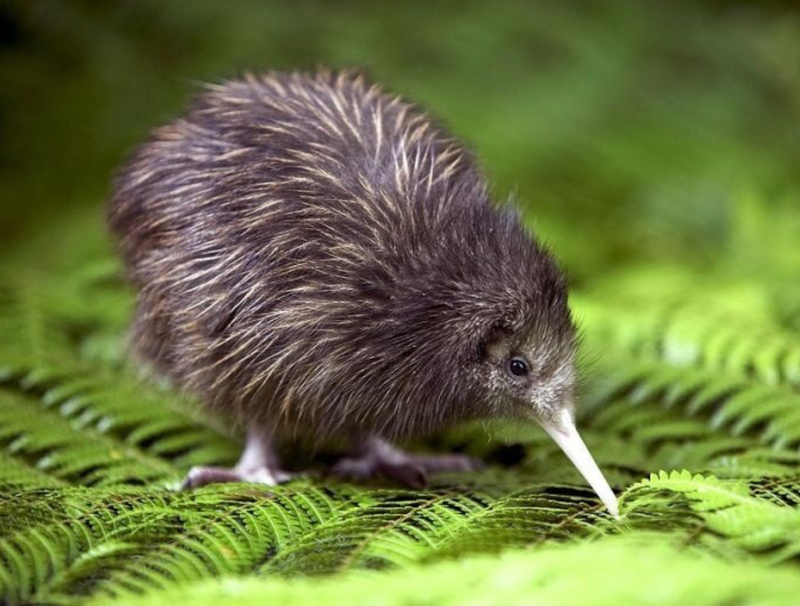 In fact, the kiwi is the only bird in the world with external nostrils. Kiwi are not only national icons they also have strong cultural, spiritual and historic associations with the Maori people, so every effort is being made to ensure the birds’ survival. 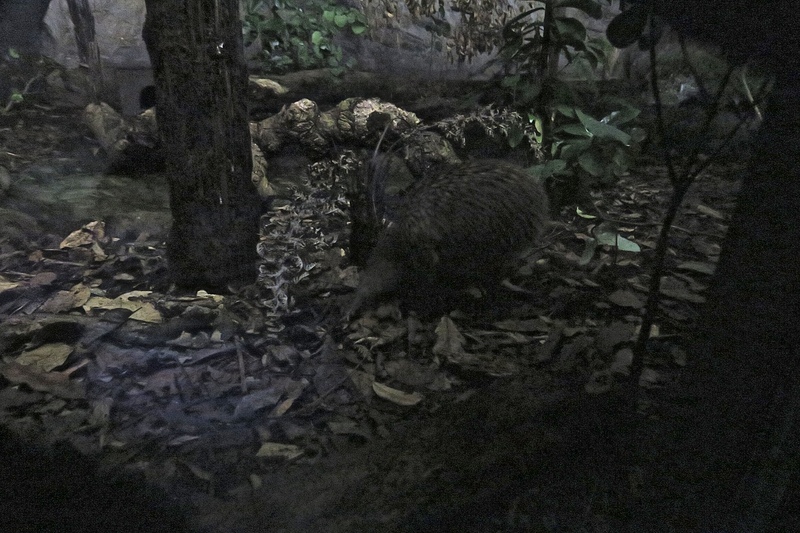 The biggest threats to kiwi chicks are cats and stoats which are weasel-like mammals brought into New Zealand by humans hoping they would control the rabbit population humans had also brought in. 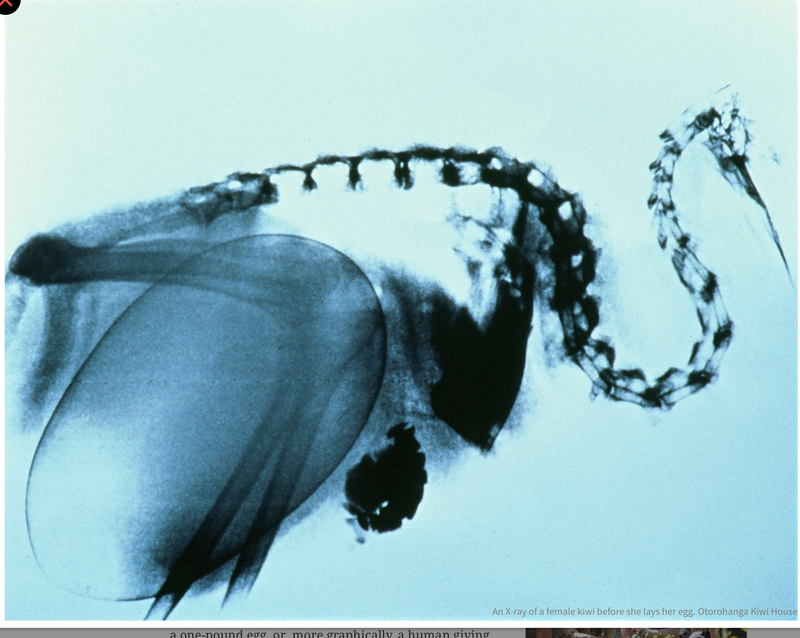 Adult kiwi fall prey to dogs and ferrets. 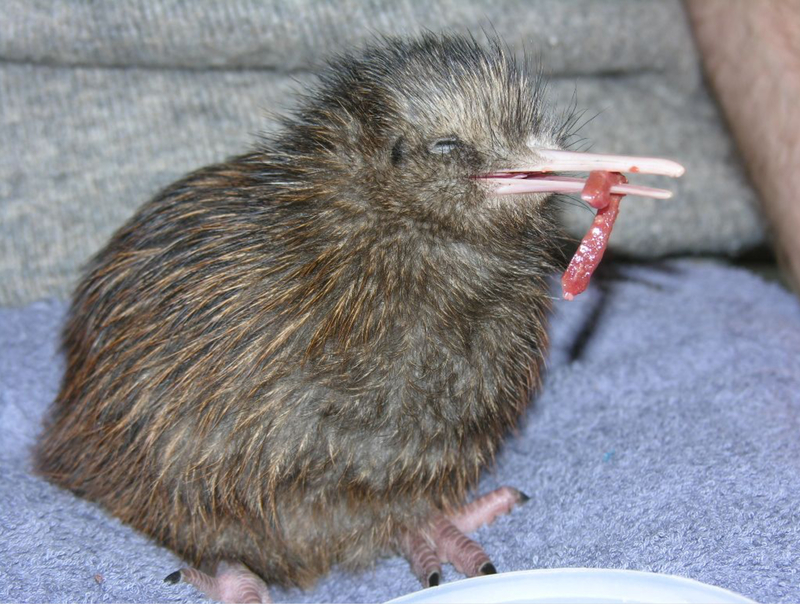 Right now the conservation status of the various species of kiwi has had some success with a few kiwi species now recovering. Others are still nationally critical. Humans have had such a difficult time understanding the notion of leaving nature’s course alone to achieve its natural balance. At least in New Zealand the painful lesson has been learned and hopefully conservation efforts are not too late to save the kiwi as well as other endangered species. More about other flightless and sadly endangered birds of New Zealand in next week’s post. This entry was tagged BIODIVERSITY, BIRDS, BIRDWATCHING, ENDANGERED, ENDEMIC SPECIES, EVOLUTION, flightless, NEW ZEALAND, PHOTOGRAPHY, Preservation, TRAVELS. Bookmark the permalink.